After much sanding of the floor beam, I finally got one side of it mostly smooth. I decided to wait until the strips are laminated onto the bottom before I finish sanding. 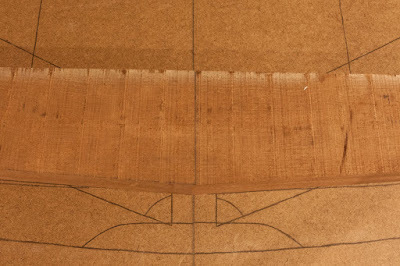 After all, the strips themselves and the epoxy squeeze out will have to be sanded, anyway. What would be the point of sanding the floor beam down to perfection.... only to have to sand it even more once the strips are glued on? 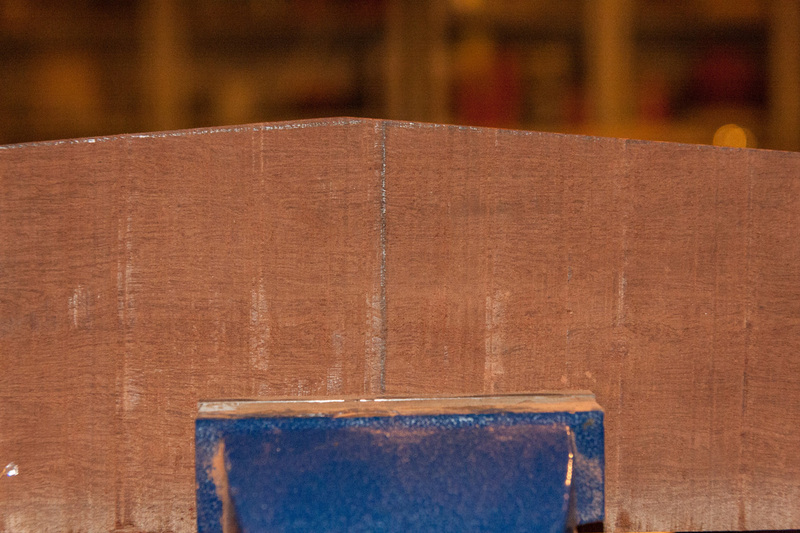 Besides, there were other problems with the floor beam that needed to be addressed. 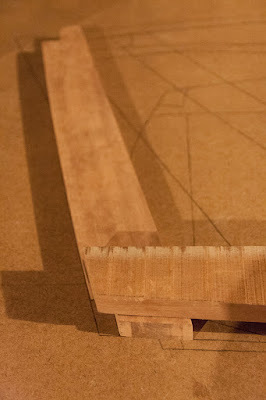 The point of the deadrise angle is not aligned with the centerline of the frame. Namely, the deadrise point at the bottom of the frame was off-center, by at least a quarter inch. 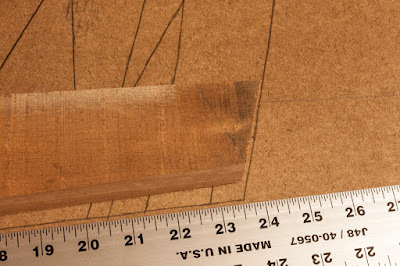 I wanted it to be as close as possible to the marked centerline on the frame. 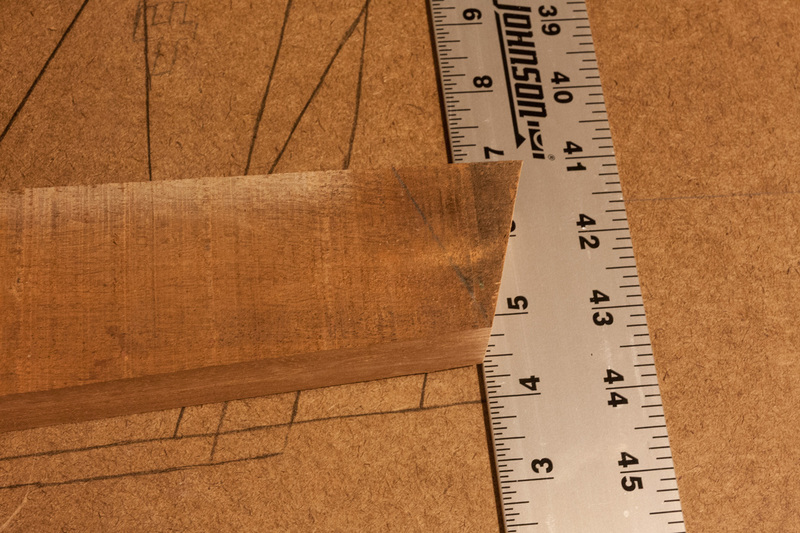 It only took 3 passes across my planer/jointer to get it pretty darn close. It isn't dead-on precise, but it's certainly close enough for what I'm doing. 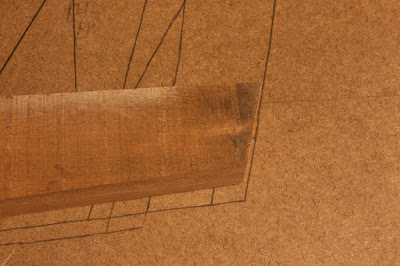 (The center point is going to be cut away for the keel notch, anyway.) 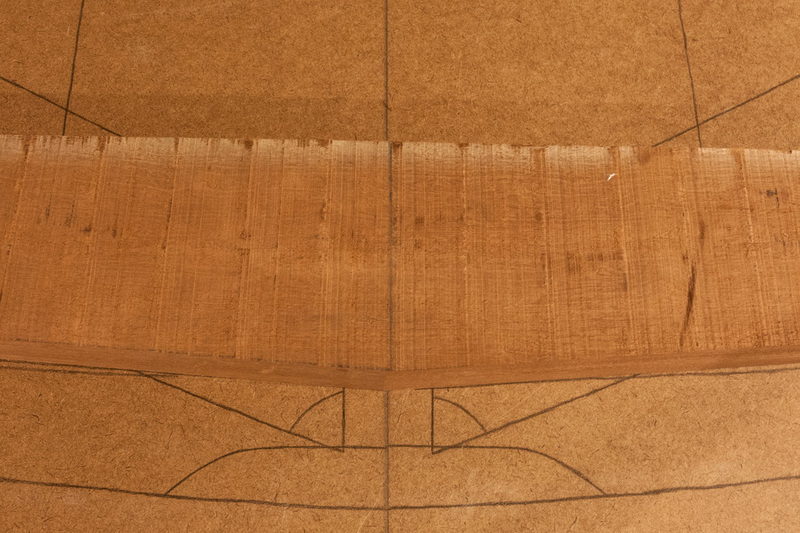 My goal is for all the parts to be as symmetrical from the centerline as I can make them. 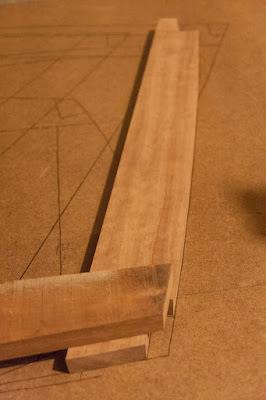 After I did that, I cut a narrow piece of mahogany that I will use to make the 2 strips for the bottom of the frame. Since I had the planer set-up, I went ahead and planed one side so it will line up well with the (mostly) smooth side of the floor beam. The point on the centerline matches up pretty well with the drawing. However, at the port end of the frame, the gap at the bottom is pretty substantial. 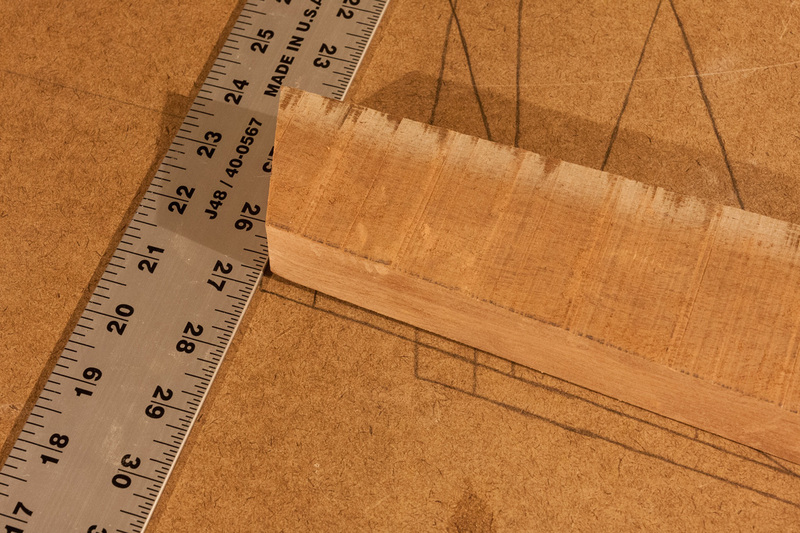 By my measurements, the port side has a 3/8" gap at the end. 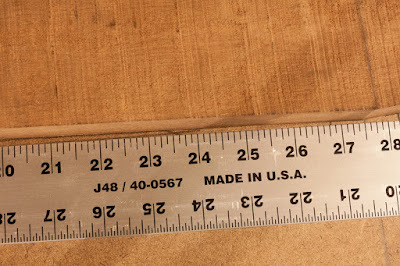 The length of the port gap is 23-1/2 inches. 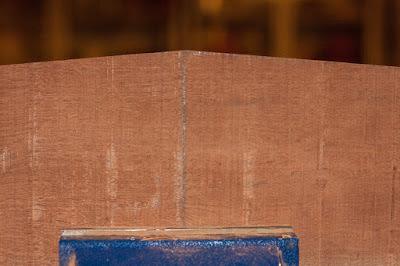 The gap at the starboard end is 1/4". 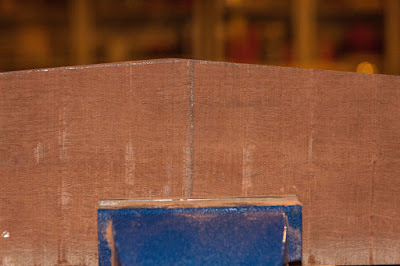 The length of the starboard gap is 24 inches. 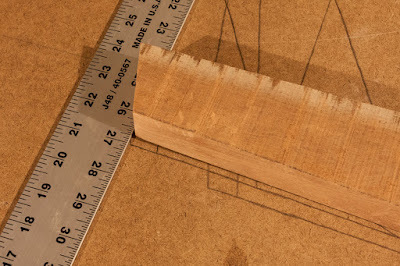 After taking some measurements, I decided on my plan. 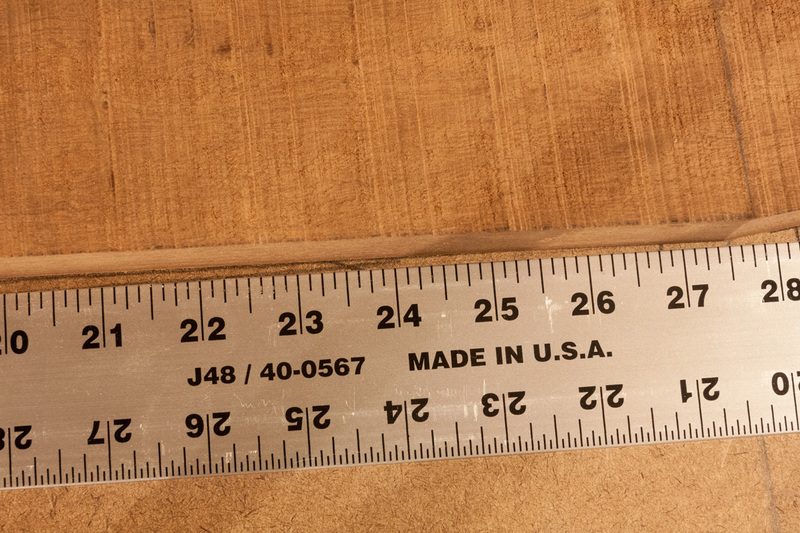 I'll cut the shim strips each 24 inches long. 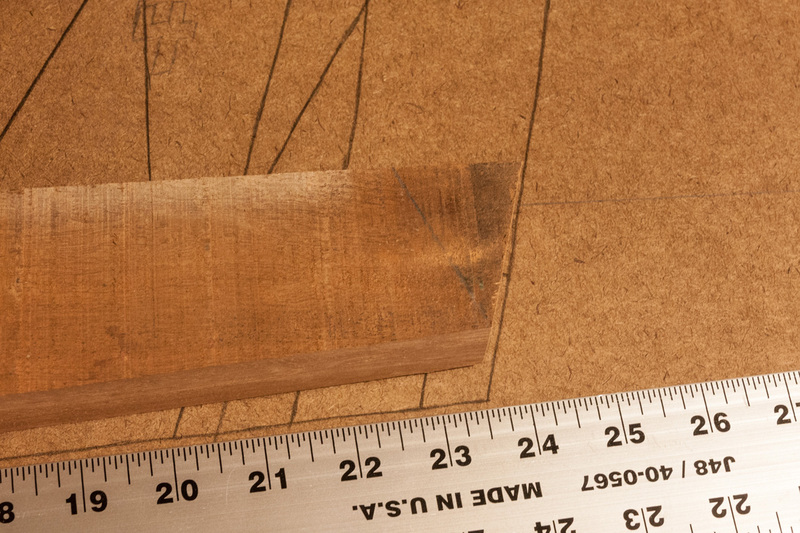 One will need to end at 3/8" thickness (or slightly more) for the port side. 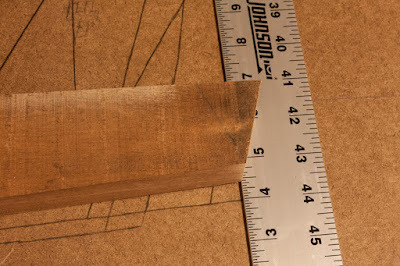 The other will need to end at 1/4" thickness for the starboard side. Port end of Frame #2. 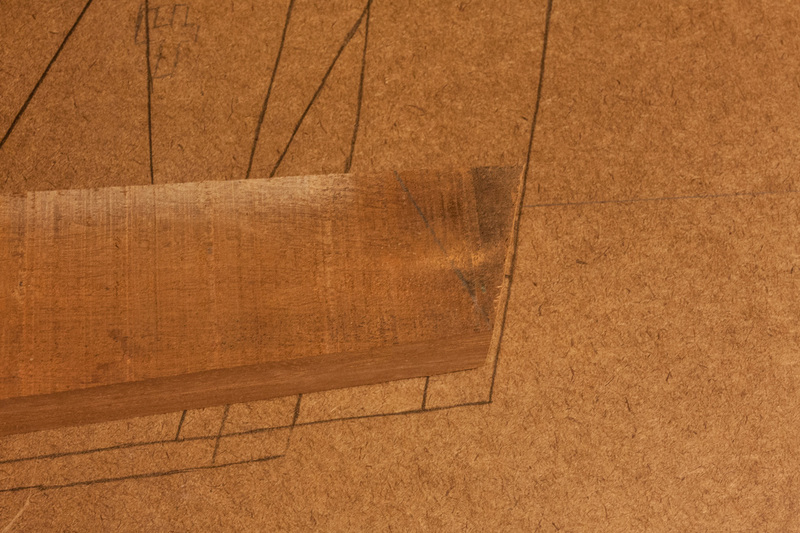 Starboard end of Frame #2. I'll post another update once I make some more progress. Until then... keep on keepin' on. "for in due season we will reap, if we do not give up."